The doctors gave Tyler a "lab holiday" yesterday and today... how nice of them... . I mean, he's only been poked numerous times over the past 14 days... but the vacation ends at 6am Friday morning. His chest xray is looking better since I last posted; probably due to the third (the newly added) diuretic he started on Tuesday. Only time will tell if his drainage will start slowing down anytime soon for when the Blakes can be pulled. But, at the rate it's going, we'll more than likely be going home with them in. So the talk today was if we get great lab results tomorrow morning as well as Saturday morning... PLUS excellent chest xray results tomorrow morning as well as Saturday morning... . that we JUST MIGHT be handed our discharge papers Saturday afternoon. A lot is weighing on what we see over the next 48 hours, but if everything stays the same (or improves) as our last 24 hours have went, then we're all on the same page and feel okay with leaving. If we do get to go home on Saturday, like I said we'll probably have to keep the drains in -- since we're fighting the Chylothorax, we'll be in daily contact with the CV Surgery nurses, and then going back and forth to the hospital for chest xrays & lab work a couple times a week. No telling how long we will have to keep our drains in. As scary as it is going home with the drains in, I think we're all ready. We'll still have to stay home and not take him anywhere -- basically treating our home like we do when we're in the hospital. Captivity, yes... but we'll take it; especially in this crazy summer heat! Momma like! So if you would, please continue to keep us in your prayers, send us good thoughts and well wishes that everything pans out for Saturday afternoon, and I will keep the blog updated with how things are looking. 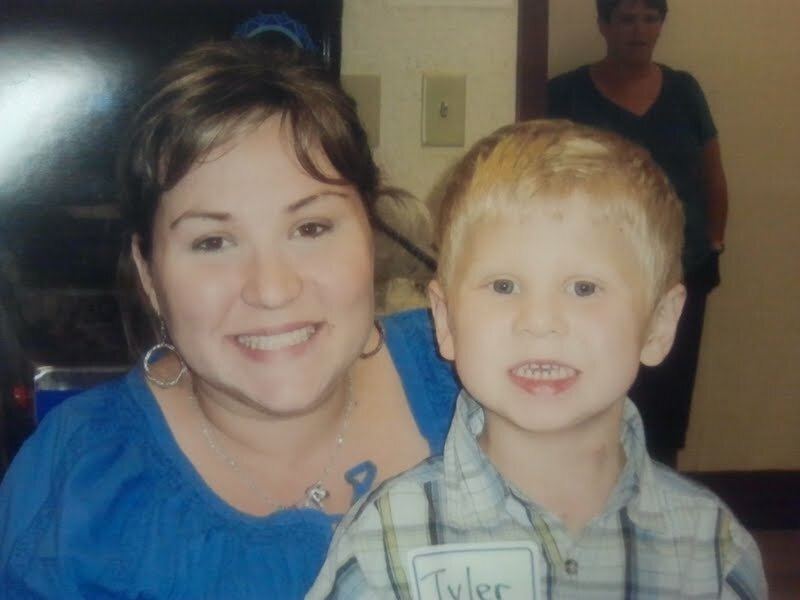 :) Tyler and Mommy tonight at "Pet Pals"